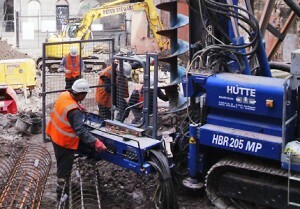 Wherever possible Sonic prefers to hire out plant and equipment with one or more drilling or piling operatives. Our experienced and certified operatives have CSCS, CPCS or BDA Land Drilling accreditation thereby giving our customers peace of mind in regard to both performance and safety. Why Hire People with the plant? Efficiency and Safety – the specialist operators provided will be experienced in the use of the plant and associated equipment. At busy times there is no need to embark on recruitment process which can be time-consuming and create uncertainty. For small businesses it is not always practical to have a workforce capable of undertaking every task. We can help fill the skills gap.